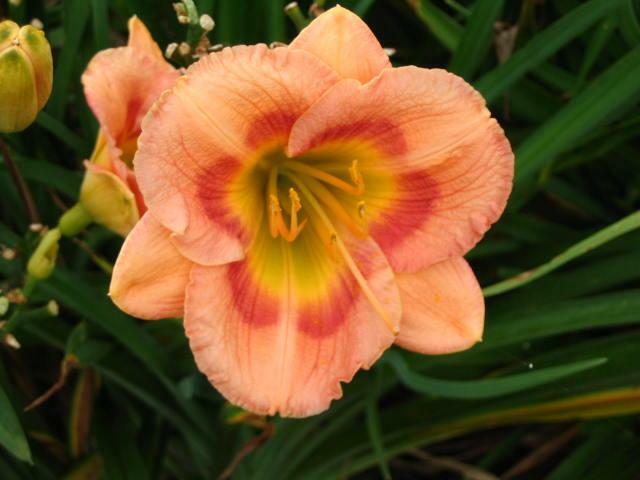 Click on the flower image for a larger photo and then use the 'back' button to return to this page. 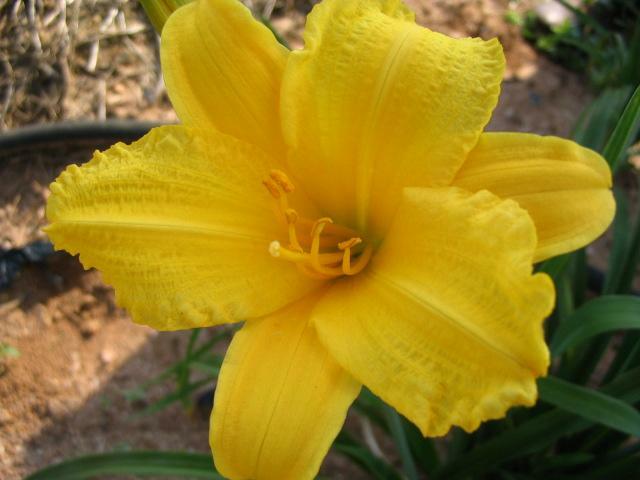 ALL PLANTS ARE POTTED PLANTS AND PRICES ARE FOR PICK UP AT OUR FARM ONLY! 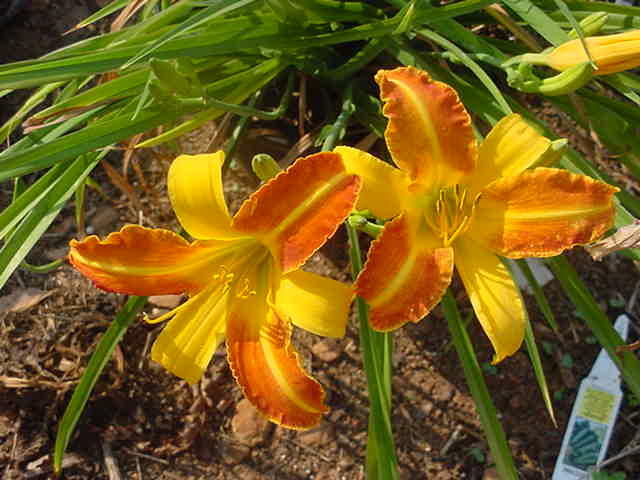 Bright rust and orange bicolor with creamy midrib on petals. Long blooming season. 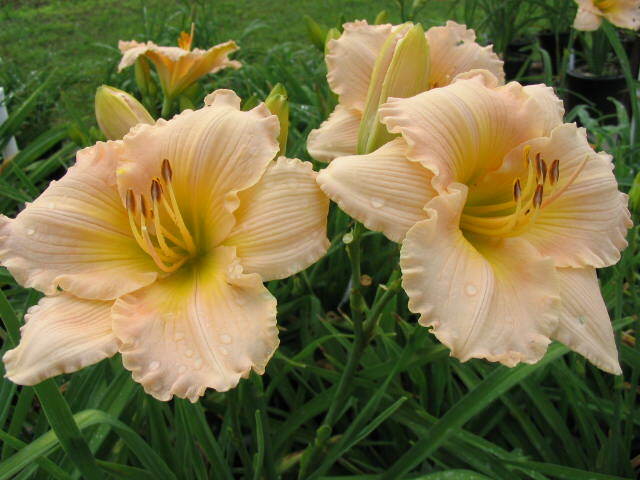 28" tall, mid-late season, dormant, 4.5" blooms. 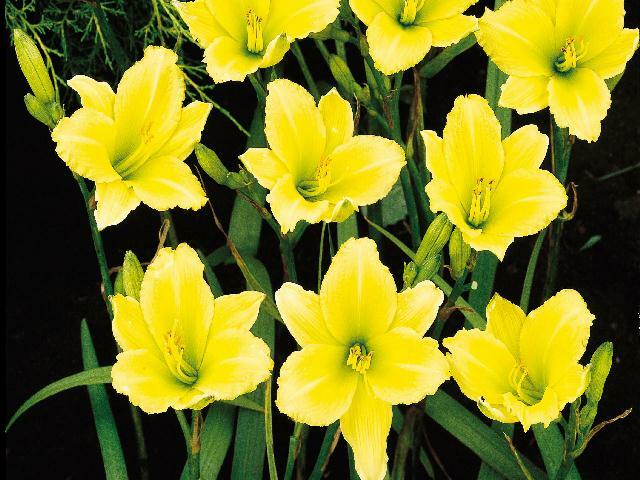 Lemon yellow fully double 4-1/2 inch blooms on short 16-inch scapes. Nice clean healthy foliage. 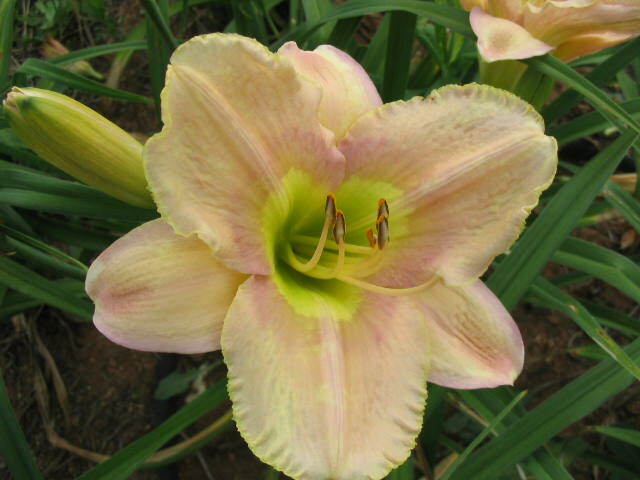 Early mid bloom season and good rebloom. Raspberry red with bright red eyezone and green throat. Extended bloom season. Distinctive, healthy foliage. 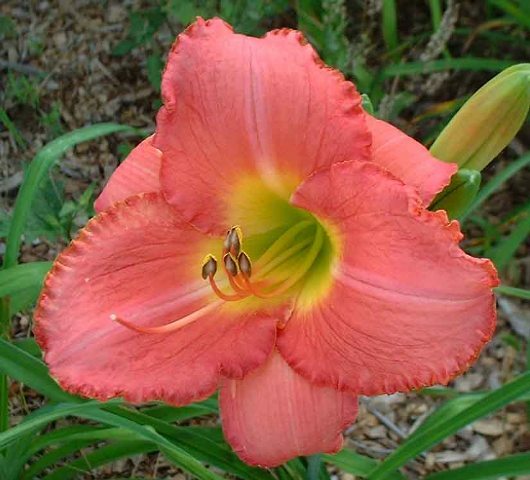 24-26” tall, Early season bloom time, blooms remain open into evening, semi-evergreen, 4 “ bloom size. 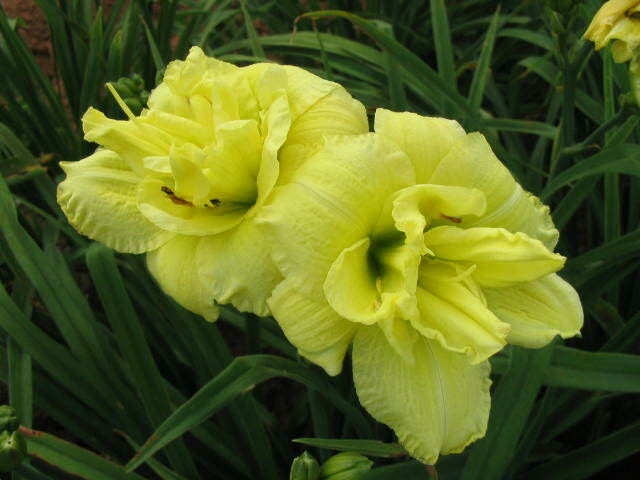 Slightly ruffled, canary colored with slight green tint. 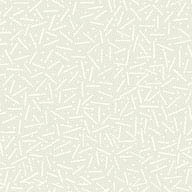 Good branching with good bud count. 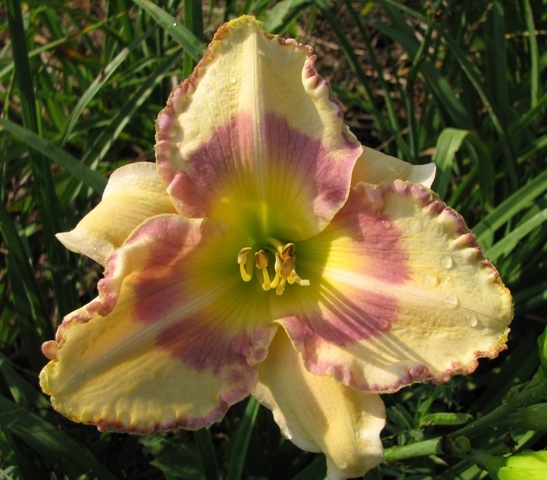 Annie T. Giles Award for best small flowered daylily. 20 inch tall, late, semi-evergreen foliage.